I was born in Italy and lived there until 2000, when I came to the United States to get my MSW at Simmons College in Boston. Two years later I was married to my wonderful husband, and within four years our family expanded to include our dog, Billy Bob, and our three children. I grew up watching my paternal grandmother and my mom baking. I have always loved to cook, but baking has been my passion since I was a kid. When I stayed home with my children, baking also became my creative outlet. You cannot rush bread or puff pastry. There is a rhythm in baking that is soothing, and love pours out of every bite you make. Sometimes I joke that I became a social worker to help people feel better. I should have just started baking instead! In 2008 I started baking challah bread for our local Jewish community. At that time, I had the privilege to meet an older gentleman who couldn't eat my challah because he had Celiac disease. He very kindly asked me, if one day, I would make a gluten-free challah. He was not complaining, but there was a sense of something missing, of deprivation, that I thought I had to do something about. A few months later I made my first gluten-free baked product: a challah bread that I immediately delivered. It didn't look great, but he told me that it was the best challah he had tasted in years. Now, you need to know that within a few months after I moved to the United States, I started to feel as if something wasn't right with me; I would wake up bloated, I would often have headaches and feel uncomfortable. I suspected that the change to the American diet and the stress of graduate school were taking a toll on me. At one point I was diagnosed with hypothyroidism. However, the years passed and the symptoms didn't subside. Three years ago a nutritionist suggested I stay away from gluten and I started to feel better. Finally, more recently, a visit to the gastroenterologist and some testing confirmed a lactose intolerance, acid reflux, but no Celiac disease. The doctor, though, suggested that I continue to avoid gluten because there was surely an underlying sensitivity. Now, two years later, I am able to enjoy my life again. I live a gluten-free life. I feel ten years younger! With my diet and love for baking, the gluten-free challenge translated into a lot of trips to the library and experiments in the kitchen. I have brought my pastry to people around town, who, I knew, couldn't find good gluten-free baked goods just anywhere. I have experimented with recipes, thrown away cakes and fed my family more sweet treats that anyone could handle! And now, I feel ready. 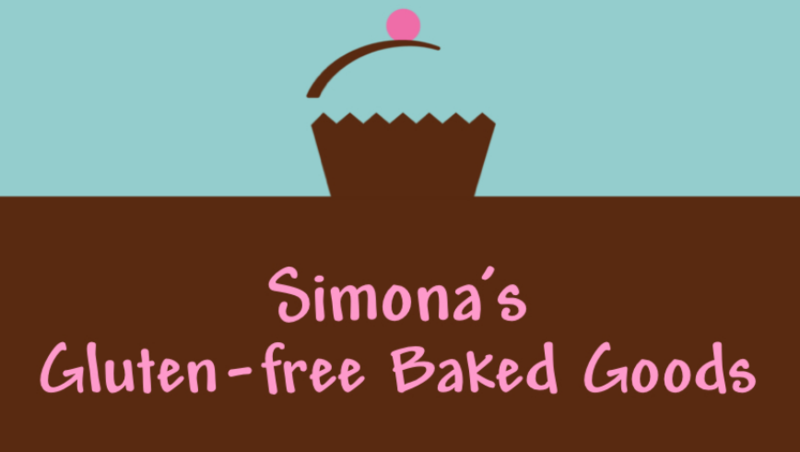 My goal has always been to provide gluten-free baked goods that taste as good - if not better than - conventional pastry, and I did it. My Italian and American traditions create a pleasant mix of products. Cookies and pies, baci di dama and tortes. I hope you'll enjoy what I bake for you: I want to give back the sweetness and flavor you've missed. I want for you a life with no without!